THE WORLD DOES NOT NEED ANOTHER AGENCY. Progressive marketing leaders have spoken — financial efficiency and transparency matter. Protecting brand equity matters. Speed to market matters. And yes, breathtaking creativity and accountability for results still absolutely matter. It is painfully clear that the old agency model — a dysfunctional and self-absorbed community living in its own echo chamber — is broken. Agency holding companies claim to have built integrated models — they have not. What has been built is the architectural equivalent of a folly — a list of acquired-service silos with individual financial goals and divergent cultures. 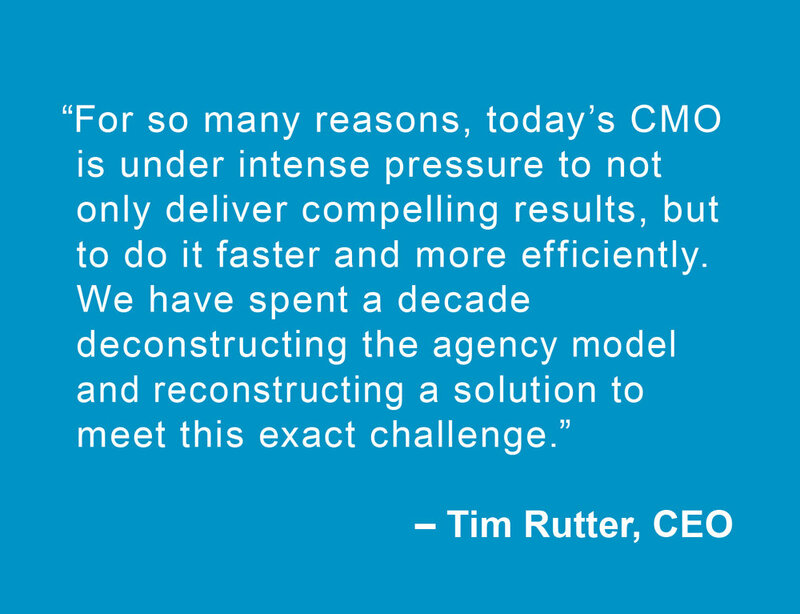 Simply stated, the world changed, marketers are demanding change — and agencies haven’t. The solution requires the acknowledgement that behind every brand is a hard-charging marketing machine. A machine built from many parts, and every single part of the machine matters — not just the shiny, creative parts that garner self-praise and build egos. It requires a partner built through the acquisition of leading global talent, not companies. A partner with process discipline and forward-thinking technology tools. A partner that can help you realize a new kind of competitive edge.